The mainstream media’s quick reaction often costs it in terms of fact-checking. As human rights groups continue to sound the alarm over multiple arrests and killings in Syria, one high-profile victim has made an amazing reappearance. 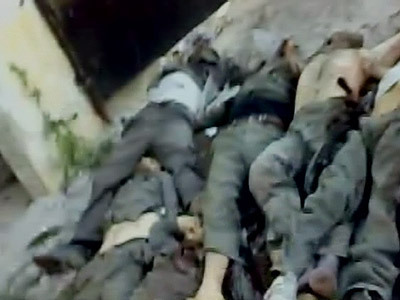 On Thursday the UN’s human rights office has raised the death toll in Syria. According to the latest report, over 2,900 people have been killed during seven months of unrests in the country. This is at least 200 people more than reported at the beginning of September. The spokesperson for the UN High Commissioner for Human Rights said that all figures are based “reliable sources”' inside and outside the country, AP reported. Zainab Al-Hosni was hailed as the flower of Syria, the symbol of the suffering under President Bashar Assad’s brutal regime. At least that is what much of the Western media said after her apparent butchering by security forces. Several Western media outlets were quick to report Zainab Al-Hosni’s gruesome death – apparently the first woman to be killed in government custody. But now it appears she is miraculously back from the dead, even being interviewed on Syrian TV. “I came to the police station to tell the truth. 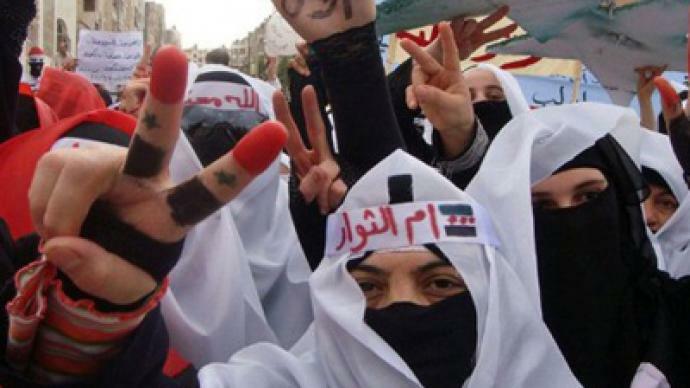 That’s what I say to those lying channels – I’m now still alive, not dead,” Zainab Al-Hosni said. Human rights groups like Amnesty International jumped on the bandwagon too, reporting Al-Hosni had been tortured, murdered and mutilated. It even claimed her mother found the body in a morgue last month. All assertions the group is now being forced to backtrack on. “We will endeavor to be more cautious and phrase things a little bit more nuanced,” Amnesty International spokesperson told the BBC. The state broadcaster says the interview is to dispel what it labels fabrications by foreign media to serve Western interests. It is stories like this that have been used to prop up calls from the US, Britain and France for UN sanctions to be slapped on Syria, but their foundations are now looking shakier than ever. Some video footage shows allegedly unarmed pro-Assad civilians being targeted by gun-toting rebels, whom the West views as peaceful opposition. It seems as Western media only looks in one direction. “This notion that the US is part of this pro-democracy regime is ridiculous. They’re jumping on that bandwagon as an opportunity to get out in front of it and create this deceptive appearance, while at the same time they’re supporting the dictatorships that are aligned with them and the UN that are part of their empire,” claims Jacob Hornberger from the Future of Freedom Foundation. Russia and China vetoed a UN resolution on Syria, seeing through it as a potential cover for another Libyan-style intervention. There may not be any oil this time, but there is always an ulterior motive. 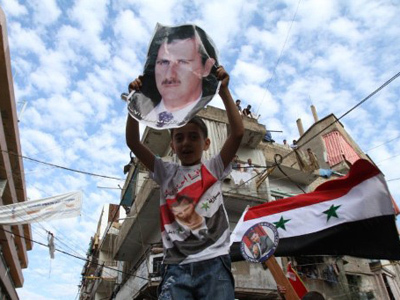 “[Syria’s] importance is as a geopolitical factor right next to Israel, a country which obviously America and Britain and the other Western powers strongly support. So that would be its ulterior geopolitical motive,” explains John Laughland from the Paris-based Institute for Democracy and Co-operation. And as Konstantin Kosachev, head of the State Duma Foreign Affairs Committee told RT, the critical reaction of the US and some EU states was unwarranted. “The right of veto is one of the most essential parts of the UN mechanism. I believe that Russia along with some other countries understands better what is going on in Syria, definitely that is not just black and white with the government or the ruling authorities, which are bad and the opposition, which is fairly good. This is much more complicated,” Kosachev said. 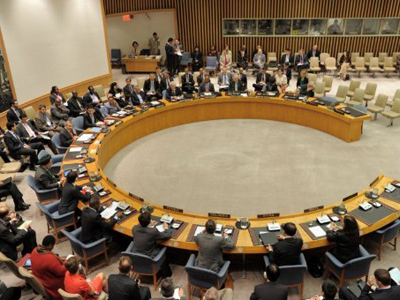 The vetoes were followed by a Security Council walkout from America over remarks during the Syrian envoy's speech. But the US promised to be back with another resolution, and undoubtedly more dramatic “evidence” to drive the point home. 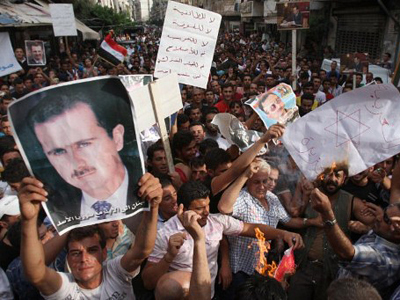 Syrian opposition not ready for dialogue?